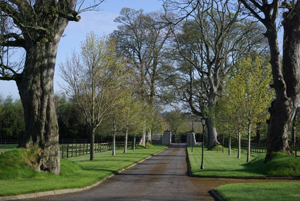 Brian Grassick Bloodstock is located at Newtown House, just outside Naas, in Co Kildare. The company was founded by Brian and Sheila Grassick in 1991 and has gone from strength to strength since its inception. Brian Grassick Bloodstock is an internationally renowned bloodstock agency with clients from many different countries such as Ireland, England, France, Germany, Spain, Italy, America, India and Australia to name but a few. Brian Grassick Bloodstock will be happy to assist you with all of your bloodstock requirements from breeding to racing and everything in between.